Beats Electronics is now a division of Apple Inc. Which produces audio products. Headquartered in Culver City, California, U.S. The company was founded by rapper and hip-hop producer Andre "Dr. Dre" Young and Interscope-Geffen-A&M Records chairman Jimmy Iovine. Beats' product line primarily focused on headphones and speakers, marketed under the brand Beats by Dr. Dre; in particular, its headphone line famous places a heavy emphasis on bass, which, in advertising material, Dr. Dre stated allows listeners to hear "all" of the music. The company has also licensed audio technology to other companies for use in their own products—including HTC and Chrysler—and expanded into the online music industry with its 2012 purchase of MOG, and the subsequent launch of an in-house music streaming service known as Beats Music. Beats' popularity was primarily influenced by its marketing practices, centered around product placement and branding deals with celebrities that were accessible due to Iovine's professional network. In 2012 NPD Group reported that Beats' market share was 64% in the U.S for headphones priced higher than $100, and the brand was valued at US$1 billion in September 2013. For a period, the company was majority-owned by Taiwanese smartphone maker HTC—the company reduced its stake to 25% in 2012, and sold its remaining stake back to the company in 2013; concurrently, Carlyle Group replaced HTC as a minority shareholder, alongside Dr. Dre and Iovine, in late 2013. On August 1, 2014, Apple Inc. Acquired Beats for US $3 billion in a cash and stock deal, marking the largest acquisition in the company's history. The company was formally established in 2006, a time when Iovine perceived two key problems in the music industry: the impact of piracy on music sales and the substandard audio quality provided by Apple's plastic earbuds. Iovine later recalled that Dre said to him: "Man, it's one thing that people steal my music. It's another thing to destroy the feeling of what I've worked on." Iovine sought the opinions of musicians with "great taste", such as M.I.A. And Pharrell Williams during the early developmental stage. Beats initially partnered with Monster Cable, an audio and video component manufacturer based in Brisbane, California, to manufacture and develop the first Beats-branded products, and debuted its first product, Beats by Dr. Dre Studio headphones, in late 2008. To promote its products, Beats primarily relied on endorsements by pop and hip-hop music performers (including product placement within music videos), and partnering with musicians and other celebrities to develop co-branded products. In August 2011, mobile phone manufacturer HTC acquired a 50.1% majority share in Beats for US$309 million. The purchase was intended to allow HTC to compete with other cell phone makers by associating themselves with the Beats brand, as the purchase also granted HTC exclusive rights to manufacture smartphones with Beats-branded audio systems. Despite its majority acquisition, HTC allowed Beats to operate as an autonomous company. Luke Wood, President of Beats in May 2014, joined the company in January 2011, when the company was a "licensing business". Wood had previously worked under Iovine at Interscope Records. I didn't have manufacturing experience, but I had the experience of building something from scratch ... Every time we put out an album, it was basically like building a new business--a unique cast of characters, unique challenges and opportunities, and trying to figure out a unique path to market. In October 2012, Beats unveiled its first two self-developed products, "Beats Executive" headphones and "Beats Pill" wireless speakers—Iovine believed that the company would now have to "control own destiny" in order to continue its growth. Iovine also commented on how other headphone makers had attempted to emulate Beats' celebrity endorsement business model (including Monster themselves, who unveiled Earth, Wind and Fire and Miles Davis-themed headphones at the 2012 Consumer Electronics Show), stating that "some of our competitors are cheap engineers who have never been to a recording studio. You can't just stick someone's name on a headphone that doesn't know anything about sound. "Following the decision to transform Beats into an autonomous entity, the company's revenues reached the US$1-billion mark, according to Iovine. In July 2012, HTC sold back half of its stake in Beats for US$150 million, remaining the largest shareholder with 25.1 percent. The sale was intended to provide "flexibility for global expansion while maintaining HTC’s major stake and commercial exclusivity in mobile." In August 2013, reports surfaced that Beats' founders planned to buy back HTC's remaining minority stake in the company, and pursue a new, unspecified partner for a future investment. On September 27, 2013, HTC confirmed that it would sell its remaining 24.84% stake in Beats back to the company for US$265 million. Concurrently, Beats announced that the Carlyle Group would make a US$500 million minority investment in the company. The overall deal valued Beats Electronics at US$1 billion and helped HTC turn a net profit of US$10.3 million for the fourth quarter of 2013, following the company's first quarterly loss in company history. On May 8, 2014, the Financial Times reported that Apple was in negotiations with Beats to purchase the company for US$3.2 billion—if the acquisition is finalized by the end of 2014, it would be the largest purchase in company history, ahead of Apple's US$429 million purchase of NeXT in 1996. The deal is likely to make Dr. Dre the first billionaire in the hip-hop music industry in terms of net worth, assuming that he still holds at least 15% ownership in the company—Dr. Dre was listed with a net worth of US$550 million on Forbes' The World's Billionaires 2014 list. Additionally, Carlyle Group will receive a profit of US$1 billion from its minority stake in the company. The impending deal was prematurely and indirectly revealed in a photo and YouTube video posted to Facebook by Tyrese Gibson on May 8, 2014; the video documented a celebration in which Gibson and Dr. Dre made, boasting remarks about the acquisition, with Dre declaring himself the "first billionaire in hip hop", while Gibson declared that the aforementioned "Forbes list" had changed. Both the photo and video were quickly removed from Facebook the following morning, but remains in Gibson's YouTube channel. On May 28, 2014, Apple confirmed its intention to acquire Beats Electronics for US$3 billion—the majority of the acquisition will be paid in cash, but the remaining $400 million will be in Apple stock. Some reports suggested that the reduction in value may had been a result of lower-than-expected subscriber numbers for the Beats Music service. Iovine felt that Beats had always "belonged" with Apple, as the company modeled itself after Apple's "unmatched ability to marry culture and technology." In regard to the deal, Apple CEO Tim Cook stated that "Music is such an important part of all of our lives and holds a special place within our hearts at Apple. That’s why we have kept investing in music and are bringing together these extraordinary teams so we can continue to create the most innovative music products and services in the world." 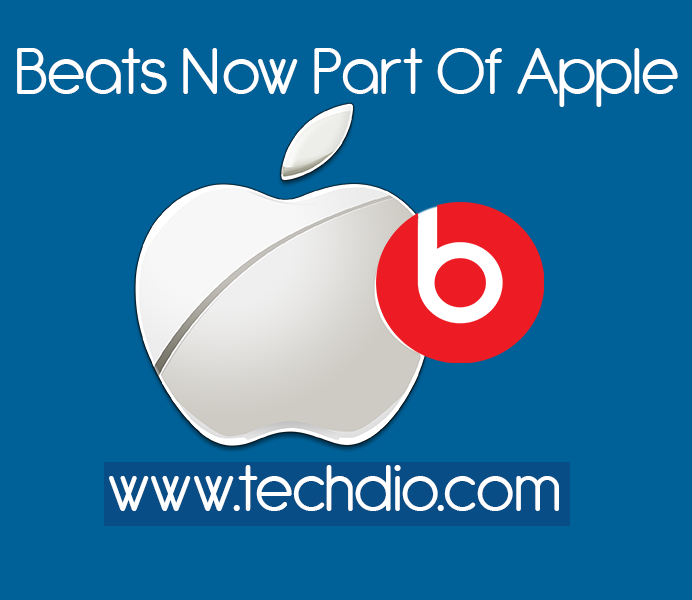 As a result of the acquisition, Apple plans to offer Beats products at its retail outlets and resellers; but, the company has not made any further indications about how Beats will be integrated into Apple's product line, and whether Beats Music, which competes with Apple's own iTunes Radio service, will continue to operate after the finalization of the acquisition. The acquisition closed on August 1, 2014; to eliminate redundancy, Apple plans to lay off 200 workers from Beats' current workforce of around 700. In July 2014, Bose Corporation sued Beats Electronics for patent infringement, alleging that its "Studio" line incorporated noise cancellation technology that violated five patents held by the company. Bose has also sought an injunction which would ban the infringing products from being imported or sold in the united States.